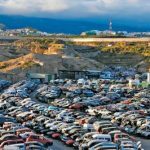 Do you have a junk car you want to get rid of? Call GLR and get paid cash for your car! It’s the easy, hassle-free way to sell your car. Whether your car is running, or you’ve got a hunk of junk taking up space in your garage or backyard, we can make the car selling process easy. Auto recycling is one of the most environmentally responsible ways to get rid of a junk car. Did you know that almost every part on your vehicle can be repurposed? Tires that may no longer be fit for the road can be turned into jewelry, rugs, shoes, shingles, and more! Reclaimed auto glass can be transformed into fiberglass insulation, concrete blocks, or glass bottles. Oil filters, engines, and even hoses can all be reused. One of the benefits of selling your selling your junk car for cash to GLR versus taking it to a dealership is that we’re not here to pressure you. 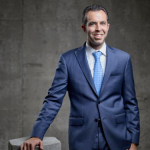 A salesman is going to work hard to convince you to buy another car. We’re not here to sell you anything. We’re simply focused on giving you the best price for your junk car. We are the highest-paying junk car buyer in Southeast Michigan. Great Lakes Advanced Recycling pays cash on the spot for junk cars. If the vehicle is drivable, feel free to bring it into our location in Battle Creek. If it is not running, give us a call and we’ll tow it in for free. Wondering how much money you can get for your old car? Here are three easy ways to find out what your car is worth. Call us at (855) 620-5865 for a free quote. Email us and tell us about your junk car and we’ll send get you a free quote. Complete our online form and get a quote on the spot. Once we determine how much your junk car is worth, we’ll make you an offer. If you accept our offer, you can bring your car in, or we will schedule a tow truck to pick up your junk car within 24-48 hours. At the time of pick-up or drop-off, we will pay you cash on the spot. Don’t forget to bring your title when you come in or have it available when we pick up the vehicle! 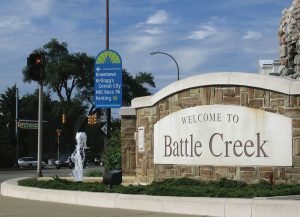 The city of Battle Creek is home to 52,347 residents. It is the former headquarters of the Kellogg Company and the current home of Post and Congra Foods. Each year the city hosts the National Cereal Festival and celebrates Battle Creek’s history as the birthplace of cereal. Visitors can sample and enjoy cereal while sitting at the World’s Longest Breakfast Table. Additionally, the Battle Creek Field of Flight Entertainment Festival, an air show and balloon event is held annually, along with the International Festival of Lights. For more information about Scrap Metal or Junk Car Recycling, call or visit our Battle Creek location. We look forward to working with you to make the world a little “greener”!